Spaghetti straps lace beaded bodice with tulle ruffle skirt wedding gown,you just can't take your eyes off her! It's was beautiful and I highly recommend it. I love the dress. When I wore it I got a lot of comments. Everyone said I looked pretty and elegant in it. I truly felt that way. I felt absolutely beautiful in this dress. So I've been obsessed with this dress ever since I said yes to my fiance.Definitely a dress you'd pass down to a daughter, granddaughter... it's GORGEOUS!I said yes to the dress, Ivory/champagne. Soooooo happy! Overall I’m seriously happy that I purchased the dress. The customer service was nice and the quality and value of the dress was unbelievable. 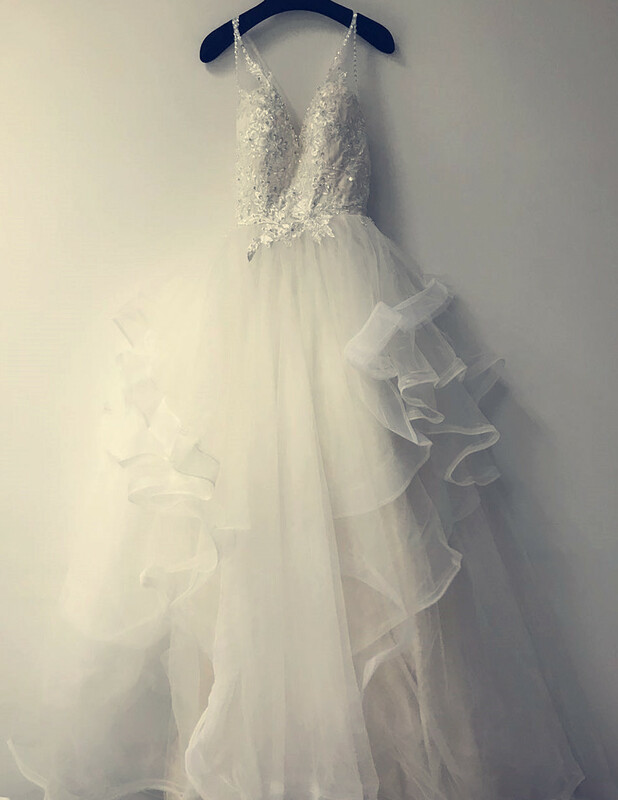 It made me feel dazzling on my wedding day. I feel lucky to have found my dress!